Nurol Park ... planned for completion next year. Nurol Life ... combines practicality and pleasure. Nurol Tower ... designed to be a home-office location. Nurol Holding, a renowned Turkish conglomerate, is launching Nurol REIT in the region and is inviting GGC investors to choose from a wide array of properties in Turkey. The regional launch of Nurol Real Estate Investment Trust (REIT) comes on the 50th anniversary of the parent company this year. Nurol aims to provide a comprehensive range of facilities within its complexes to bring value to investors, according to Ceyda Carmikli Kilicaslan, executive board member of Nurol REIT. “As Nurol REIT, our main objective is to build quality properties that make our residents feel as though they have ‘invested in life’, much like our company philosophy,” he says. Nurol REIT has established a niche among the leading companies in its industry by building value-added projects in terms of land development, design, marketing and sales since the very commencement of its operations. 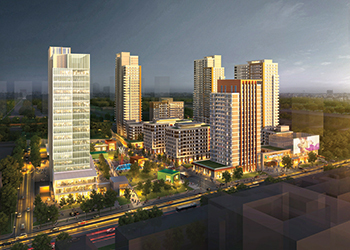 The company’s portfolio includes diverse projects in various cities across Turkey, such as Nurol Plaza, a finance and business centre in Istanbul; Nurol Residence, a luxury housing complex and Karum Business and Shopping Centre, both in Ankara; and Oasis Shopping, Culture and Entertainment Centre in Bodrum. Nurol Life ... combines practicality and pleasure. 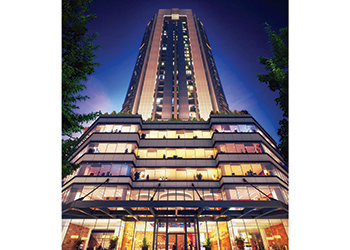 Among Nurol REIT’s key ongoing projects are Nurol Life, Nurol Park and Nurol Tower. 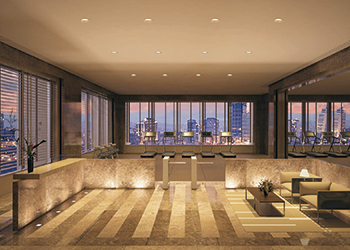 Nurol Life redefines the concept of ‘luxury’ to combine practicality and pleasure. Situated in Seyrantepe in the District of Kozluk, the building rises over a 9,500-sq-m plot area and consists of 440 apartments and 26 terrace homes. The structure houses a pyramid-shaped roof bar on the 50th floor as well as a pool and café. Nurol Life has been designed by award-winning architect Hakan Kiran, and encompasses comprehensive amenities to offer residents an inimitable lifestyle and maximum comfort, says Kilicaslan. Meanwhile, Nurol Park aims to create an ideal ambiance for families and is planned for completion next year. Offering easy access to the two main highways in Istanbul, the project is being built over a 55,000-sq-m area. The mixed-use building, predominately of residential units, includes 43,200 sq m of landscaped area, eight residential buildings, one office block, 84 lofts, 884 apartments, and 544 residences. It features indoor and outdoor swimming pools, and a fitness centre. A distinctive aspect of the project is its focus on the community and neighbourhood life. Outdoor recreation and relaxation spaces allow for a warm and lively neighbourhood ambiance. A stone’s throw away from Nurol Park is Park Çarsi hosting cafés, restaurants, and other outlets. The third project, Nurol Tower, is a new destination for business and luxury residential comfort, offering distinctive home offices in Mecidiyeköy, the commercial centre of Istanbul. Spaces in ‘Nuroltower HomeOfficeHome’ vary from 73 to 193 sq m.
“With elevated floors, 4-m-high ceilings, a unique triangular design, soundproof windows and captivating views, Nurol Tower is the ideal home-office location to unwind or be productive whenever needed,” says Kilicaslan. Nurol Tower ... designed to be a home-office location. Nurol Tower Bazaar has cafes, restaurants and shops, such as a pharmacy, hair dresser, dry cleaner, and ATMs. The bazaar will offer two floors of 36 commercial units spread across 6,500 sq m.
According to Kilicaslan, the structure not only provides the ideal home-office ambiance, but is also eyeing Leed (Leadership in Energy and Environmental Design) Gold certification. “Nurol Tower intends to achieve 20 per cent savings in energy consumption. The sustainable solutions to be implemented include reduction in carbon emissions, vegetation appropriate to the region’s climate and soil structure, bicycle storage, charging stations for electric vehicles, and more,” he says. Nurol REIT was launched in 1997 with the aim of bringing superior quality, profitable real estate and property to its investors. Nurol has been present in the Gulf region through Nurol Construction and Trading Company in Abu Dhabi since 2003. It holds an “A class” contracting licence and has maintained steady growth, having carried out more than $1 billion worth of projects, including the Khalidiya Palace Rotana Hotel and Residences Project and a causeway bridge connecting Abu Dhabi and Al Reem Islands. Founded in 1966 as Nurol Construction, and then diversifying into numerous other lines of business, Nurol Holding Company was established in 1989. It is currently active in five main sectors, namely construction, defence, finance, tourism and energy, both in Turkey and abroad. It employs more than 10,000 people.